Given the essential role your windows play, you need to make sure they can provide the lasting protection and performance your home deserves. Your choice of window material makes this possible. For your next wood window replacement in Detroit, Michigan, you should consider vinyl options from Kroll Construction. Durable and Lasting Protection. Our vinyl windows can match standard wood ones when it comes to strength. Sheffield® windows from Alside, for instance, come with fusion-welded frames and sashes. They ensure exceptional structural strength, creating an effective barrier against air and moisture infiltration. In addition, their triple-barrier weather stripping between the sash and jamb means you won’t have to worry much about the harsh Michigan weather. Superior Insulating Properties. Keeping your home thermally comfortable is easy with our Alside vinyl windows. Their multi-chamber design traps dead air, producing a great insulating barrier. They also come with exclusive Intercept Spacer System, which helps reduce heat loss through the window. 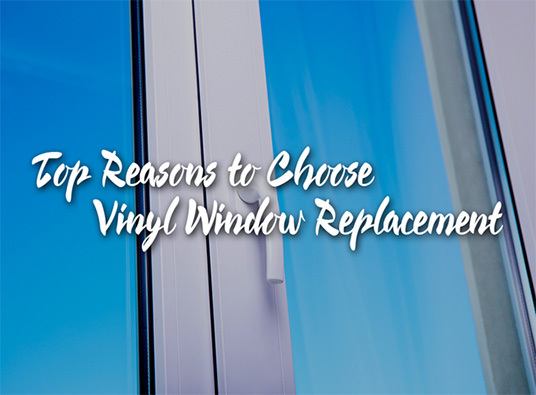 It’s also better in retaining insulating glass, which is why it is our recommendation when you’re planning a wood window replacement in Detroit, MI. Our Alside windows are also available in optional ClimaTech insulated glass. This package features multi-layered Low-E glass and argon gas. During the cold season, this lets in heating energy from the sun and holds its warmth inside the home. You can enjoy a cozier home minus the high heating bills. Maintenance-Free Good Looks. Wood windows are lovely, but are prone to chipping, fading, and cracking when exposed to the elements. This results in considerable expenses and effort to maintaining their look. You no longer have to worry about this when you choose our Alside vinyl windows. They come in a range of interior and exterior colors, from classic white and tan, to rich red and green. If you want a more natural look, you can choose our wood finishes in cherry, maple, and oak. Invest in this Detroit, MI wood window replacement option by turning to Kroll Construction. With our lovely and durable vinyl windows from Alside, we’ll help pave the way to an improved home. Call us today at (888) 338-6340 or fill out this form to get a free quote.